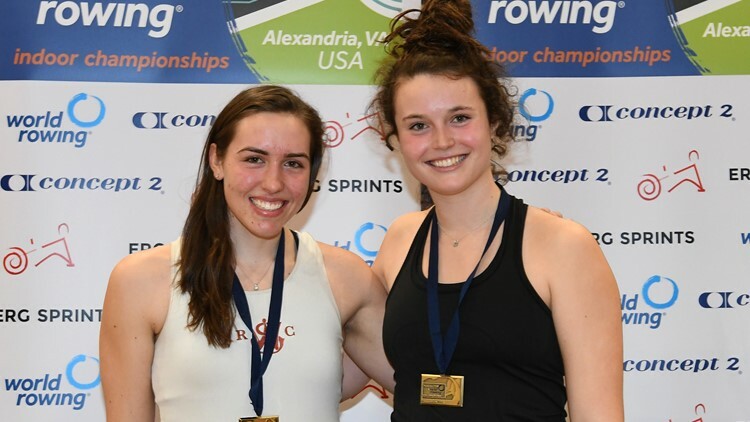 The World Rowing Indoor Championships got off to a bang in Alexandria, Virginia, USA. The TC Williams High School gym was filled with more than 120 Concept2 indoor rowing machines divided into six blocks. 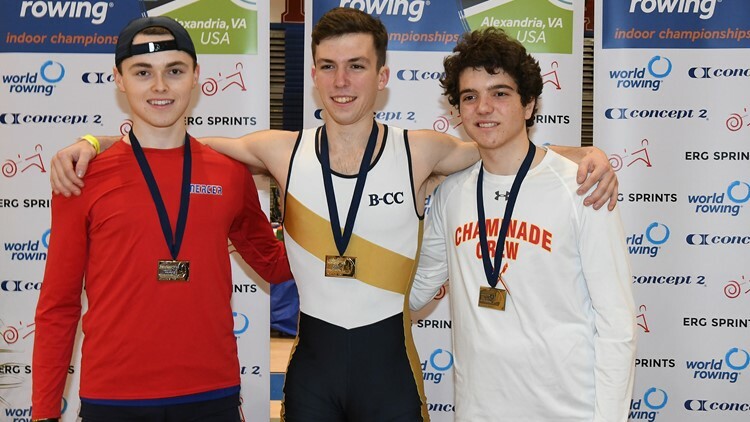 A mix of championship events and local Erg Sprints events filled the machines from 10am to 3pm. 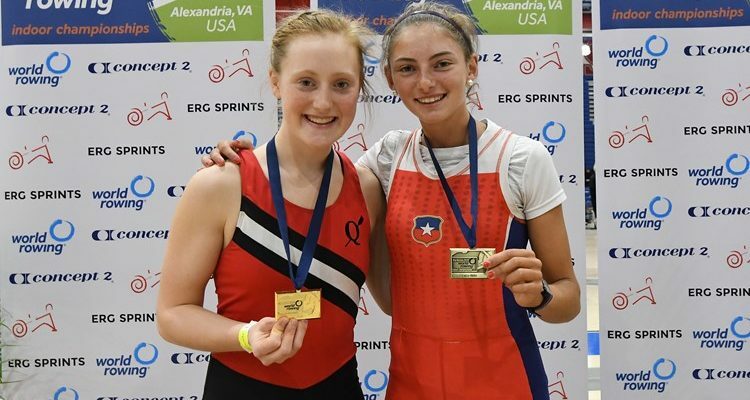 The first World Rowing Indoor Championships events got underway with the juniors. The junior categories ranged from 15 to 18-year-olds and the final times were compared across categories to determine the winners. 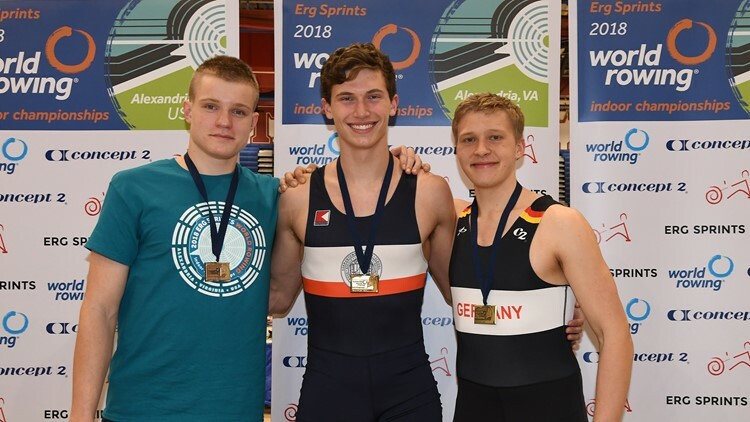 In the openweight junior men’s category the three fastest competitors were racing in the same block. The Russian, Alexandr Matveev got off to the best start, with Floyd Benedikter from Germany hot on his tails. But James Wright (USA) had his plan. Negative splitting the entire race, he pulled out an incredible sprint in the last 400m to win just two seconds ahead of Matveev. Elena Collier-Hezel was the first off the start and easily held her position for the rest of the race. Hitting her pace of 1:46.2 at the 500m mark she held it through the end. The fight for second and third was tough between Julia Casey and Regan McDonnell. McDonnell had the fastest start, but Casey came through with the faster sprint to take the silver medal. Wow. An impossible 6:15.4 put Henry Bellew well ahead of the rest of the field. Seated next to a German athlete, Bellew was completely focused on his own race. Jack Gallagher and John Plumeri were in a race of their own, but competing in different age categories, they had no idea. Plumer, racing in the under 17 category, fell just short of Gallagher who finished in 6:29.6. 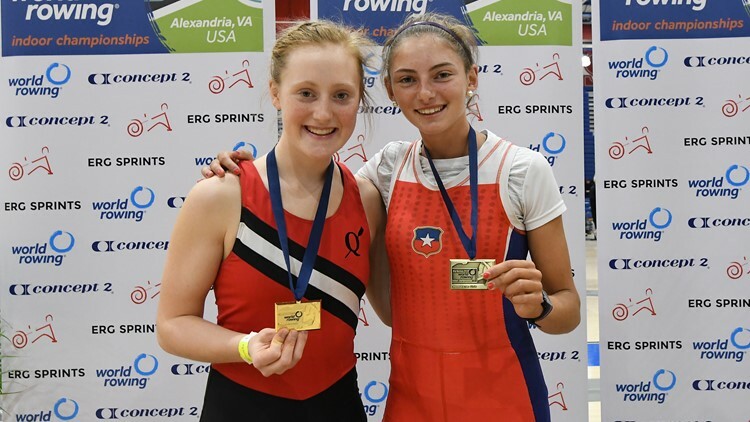 Isidora Niemeyer Walbaun (CHI) and Delaney Evans (USA) were seated next to one another on one side of the gym in the under 18 category. Lindsey Rust (USA) and Cosima Clotten (GER) were seated next to one another on the other side of the gym in the under 19 category. As the two races unfolded, Evans stormed ahead of the field, finishing in a smashing time of 7:16.4. Rust claimed the silver with 7:21.2 and Walbaun claimed bronze with 7:22.1. Racing at the Indoor Championships will continue tomorrow, 18 February at 9am local time. Follow results and live video on www.worldrowing.com.